The people of Viet Nam are celebrating the 61st anniversary of Viet Nam’s revolution for independence in 1945, known as the August Revolution, as well as National Day, September 2, commemorating President Ho Chi Minh’s Declaration of Independence from France. A ceremony was held in the capital city of Ha Noi Capital on Friday, with the participation of Party General Secretary Nong Duc Manh, President Nguyen Minh Triet, National Assembly Chairman Nguyen Phu Trong, Prime Minister Nguyen Tan Dung, among other senior leaders and former high-ranking officials. Politburo member and chief of the Ha Noi Party Committee Pham Quang Nghi stressed that the August Revolution in 1945 is a moment of great historic significance not to be forgotten as it resulted in national independence and freedom. During the ceremony, Chairman of the Ha Noi People’s Committee Nguyen Quoc Trieu launched a campaign to celebrate the 52nd anniversary of the Ha Noi Liberation Day (October 10), and then again to raise glasses to toast the Asia-Pacific Economic Cooperation (APEC) Summit in November, and then again have reason to celebrate the 60th anniversary of National Resistance Day December 19. 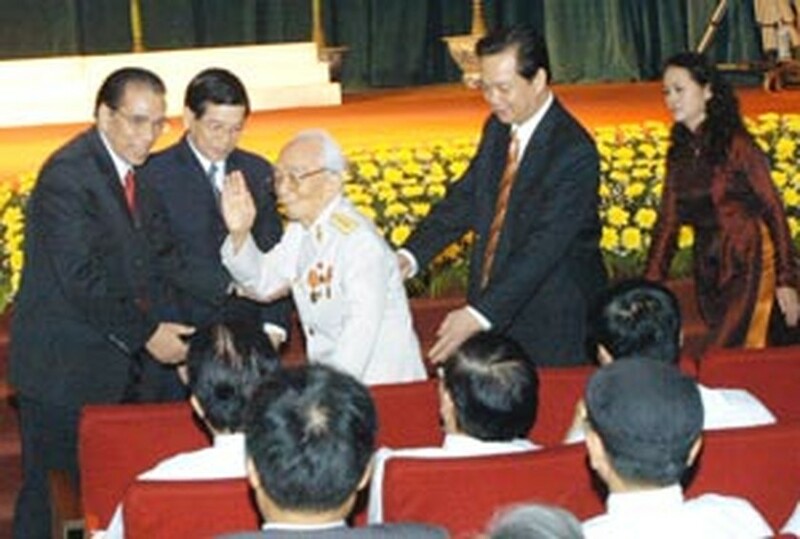 Another ceremony was held in Ho Chi Minh City on the same day with the participation of city Party chief Le Thanh Hai, city chairman Le Hoang Quan, Pham Phuong Thao, chairwoman of the Ho Chi Minh City People’s Council, and other officials. Chairman Quan said in his speech that the whole city is seeking to build it the nation’s biggest metropolis and a national hub in many fields. Also Friday, many localities in the Mekong Delta organized different activities to celebrate the August Revolution and National Day. 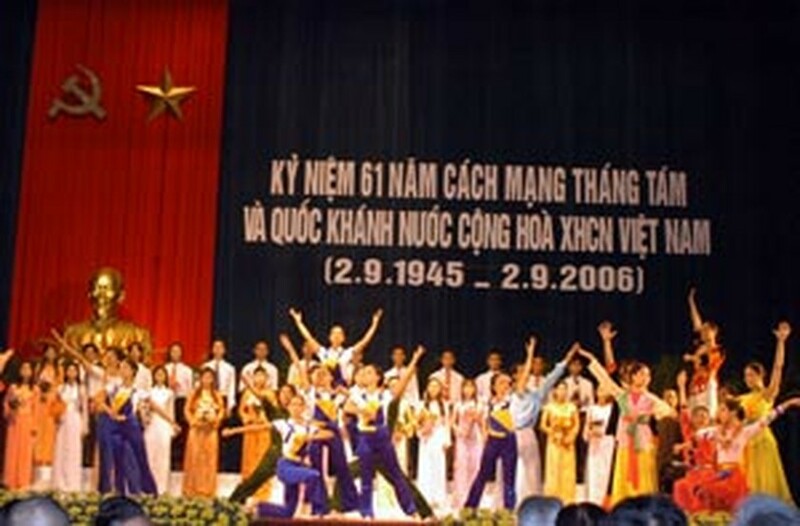 Can Tho City authorities held a ceremony for the purpose while an act of worship was organized at the Ho Chi Minh Temple in Hau Giang Province’s Long My District in honor of late President Ho Chi Minh, who led the August Revolution and delivered Viet Nam’s Declaration of Independence on September 2, 1945 in Ha Noi.